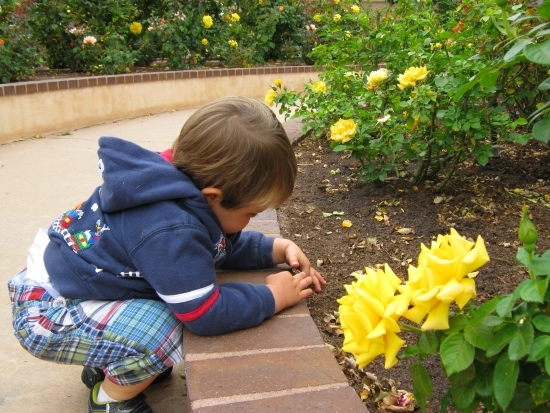 San Diego’s Balboa Park is overflowing with fun things to do with kids. 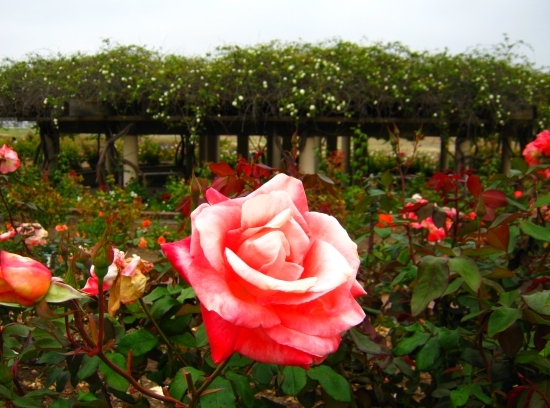 As locals who have visited nearly all of the park’s 15 museums and who are annual members of its world-famous San Diego Zoo, one of my family’s favorite Balboa Park attractions is its Rose Garden. 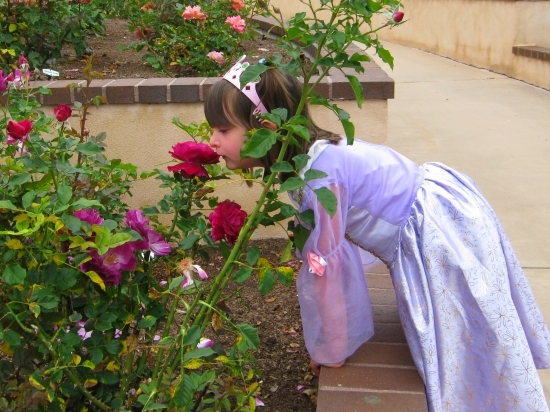 With approximately 2,500 roses of nearly 200 varieties, this garden is free to the public, doesn’t take all day to tackle, and makes a fun and fragrant outdoor field trip for visitors of all ages. Sometimes family vacations are so jam-packed with activities, it’s easy to forget to slow down and savor the moment. 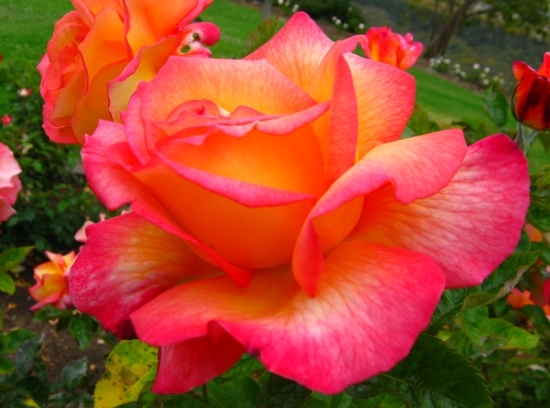 Here’s a little pictoral tour of Balboa Park’s Rose Garden, a relaxing spot to visit on your next trip to San Diego. 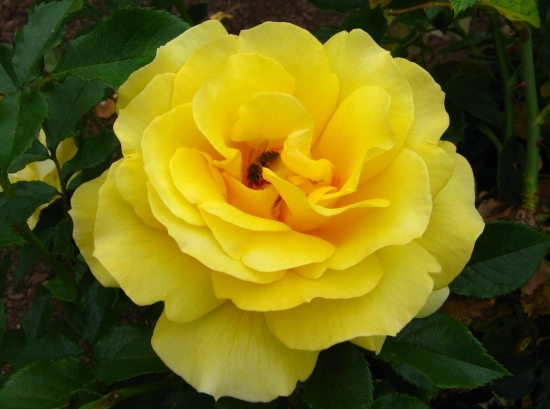 Take a close look – this rose has a visitor! After wandering through the Rose Garden, you may want to mosey through the neighboring Desert Garden, which is filled with over 1,300 cacti and succulents. Be sure to keep toddlers in strollers to avoid getting pricked! Both of these gardens are located North off the Park Boulevard Pedestrian Bridge, across from the San Diego Natural History Museum and the big fountain (for which I could not find a name). Here’s a map of Balboa Park to help you find your way. Do you have a favorite public garden? 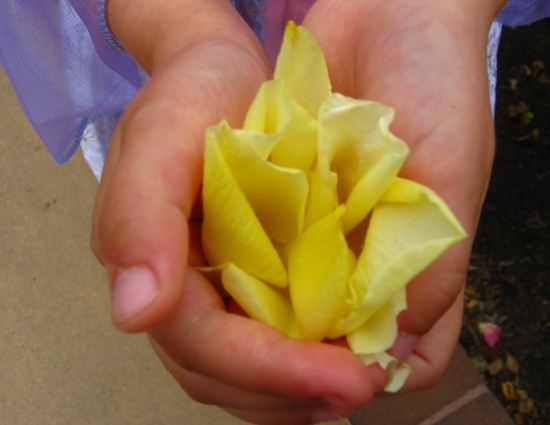 Please leave a comment!